Craving a bit of color and scent as spring descends on the world? 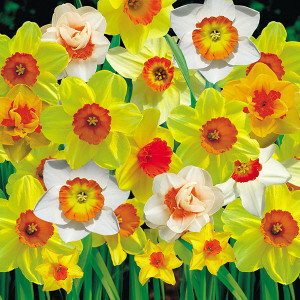 The prospect of a glorious season of flowering hyacinths, tulips and delicate daffodils indoors can be thrilling. And it’s not that difficult. Forcing bulbs indoors creates a bright floral display with a fragrant aroma. 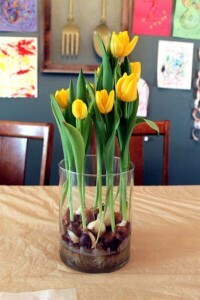 Bulbs, can be induced to bloom indoors rather easily with the correct pot and lighting conditions. The pale petals of snowdrops, paper whites or crocus are the easiest to force, as are their larger cousins, such as tulips, gladiolas and hyacinth. For a basic bulb garden: Choose a shallow clay pot and fill it with marbles, glass stones or river rocks for a solid foundation for your bulbs to grow. Nestle the bulbs deep within the foundation of your choice and fill to just cover the rocks with water. Change the water every few days and watch your garden bloom for months. 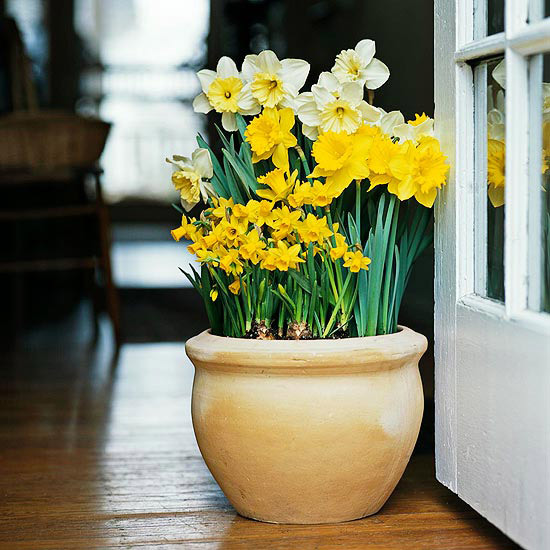 Daffodils are one of the hardiest bulbs to force indoors. Nestle the bulbs in a wide, shallow bowl that reflects your style. 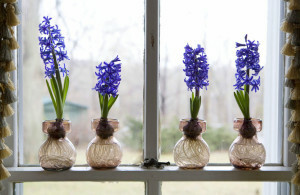 Hyacinth will show off its vibrant hues best in an opaque glass vase or bowl. The Fortune Daffodil has a pop of red that also is a symbol for good fortune in the spring. Choosing the correct container, such as a dainty glass dessert dish or a large goldfish bowl, will increase the aesthetic value of your indoor garden. Once you feel comfortable forcing a few bulbs, try a grouping of large, hearty plants such as the hyacinth paired with the delicate fronds and petals of the paper white. Group them in monochromatic colors or make a painting of a plethora of vibrant hues. Don’t delay on adding color to your home! 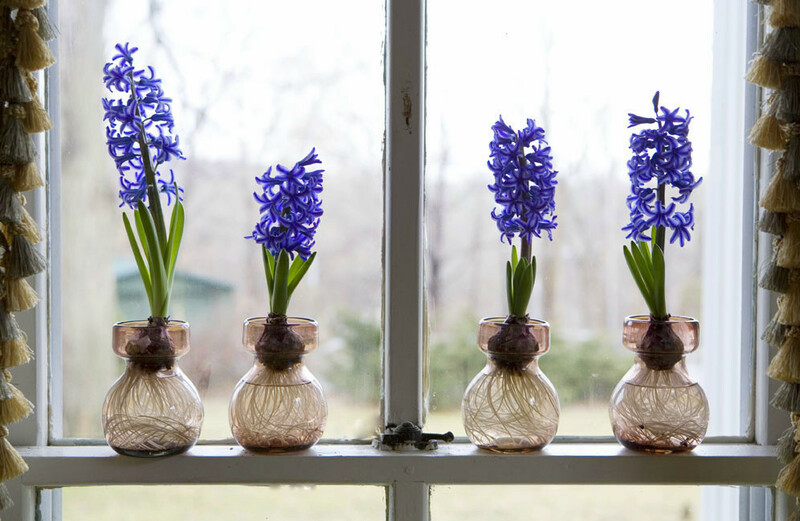 If you have any questions about forcing bulbs, or if you would like some tips on creating the perfect indoor garden, connect with our experts at Interior Gardens. We would love to help you find the best plants for your home or office and assist you in transforming your space with professional plant design.